You know nothing, John Snow! Except how to weave a tapestry?? The Bayeux Tapestry beautifully depicts a Norman view of the political events culminating in the decisive loss of Britain for the Anglo-Saxons in 1066. Now, for those Games of Thrones fans out there (I am too! Team John Snow! 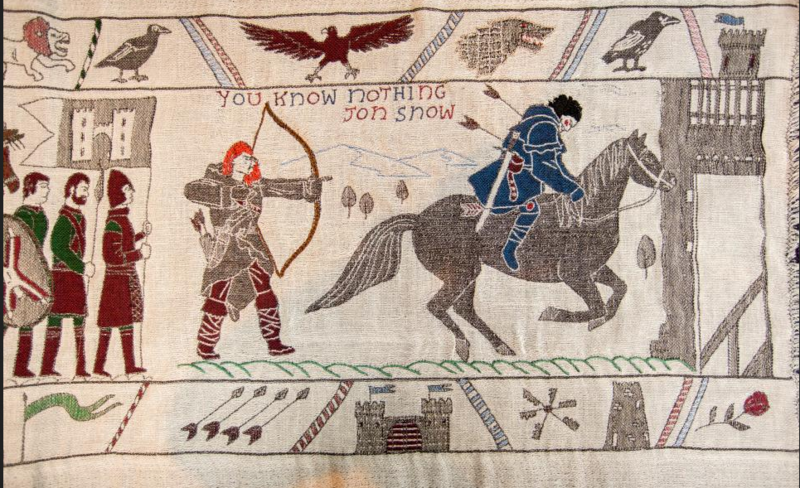 ), here is an amazing tapestry for you to enjoy. Here is how they made it. 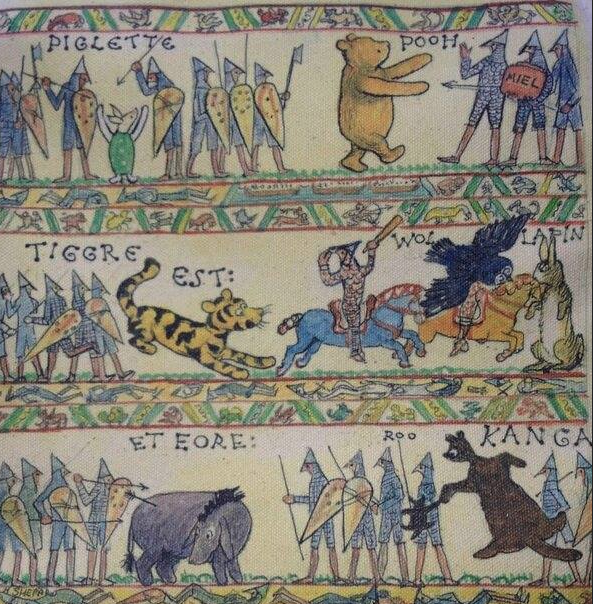 This style tapestry also inspired A.A. Milne of Winnie-the-Pooh fame. I’m a Tigger girl myself…..